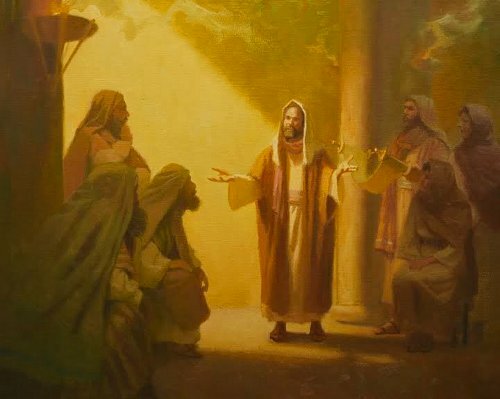 Although Yeshua taught important truths from the Torah to his disciples, I can’t find anywhere (at least so far) that he taught them Judaism (although that might be revealed to me later). He was part of the Biblical feasts, so I think I am safe with participating in those because the Torah explains that they are supposed to be followed (by the Israelites and those sojourning with them) from generation to generation. So, although I very much wanted to be a part of some Judaism group it was probably a HUGE blessing that I was not included in ways that worked for me. 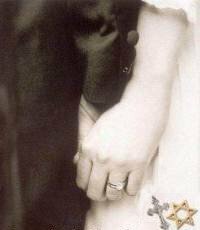 The congregation I am currently learning from teaches that Judaism has some man-made traditions included within it. So, I will not be taking part in the Sedar plate anymore. Even though the elements of the Sedar plate have good meaning, I cannot find anywhere in the Bible where it says to bring those elements into Pesach. I know I will probably get some grief for that in the future from people. Since I felt strange about participating with it in the past because of that and I am now learning from a group that believes the same thing, I am going to go by what I think are convictions in my spirit from here on out (and what a relief…I will probably be a happier person because of it). Whether we agree with everything incorporated in modern Judaism or not, they are the inheritors of the covenant promises God made to Israel. Gentiles only have a part of those promises through our devotion to Rav Yeshua (Jesus Christ) and that is what “attaches” us to Israel (though we don’t actually become Israel). As far as the Moadim (Festivals or Feasts…lit. “Appointed Times”) go, there is no way to celebrate or observe them as the Torah requires because today we have no Temple and no Levitical priesthood. If you read the Torah portions referencing the moadim, they all require sacrifices at the Temple. So, the result is, no one “Biblically” observes the moadim and no one will be able to until there is another Temple in Jerusalem and the Levitical priesthood is reinstated (Jeremiah 33:14-22 is Hashem’s promise to Israel that in the Messianic Kingdom, the Levitical priesthood will be restored). There certainly is no commandment that requires non-Jews to observe the moadim, although we are allowed to (with certain caveats) when among Israel. Since my wife is Jewish, we do have a Passover Seder every year in our home, and she attends the public seder at our local Chabad. Every fall for Sukkot, I build a little Sukkah in our backyard, and every winter we light the candles for Chanukah. Arguably, Sukkot is probably the most Gentile-friendly of the moadim because of what we read in Zechariah 14:16-19. As far as Rav Yeshua not teaching Judaism. Besides Jewish Torah observance (and there were several branches of Judaism in existence in the late Second Temple period), there were the numerous pagan religions found among the Romans and Greeks, which are recorded in various places in the Apostolic Scriptures. Rav Yeshua, like the rest of the itinerant Rabbis who traveled across Israel in those days, gathered disciples and interpreted Torah, teaching his disciples and anyone (any Jew) who would listen. In a sense, Yeshua taught a type of Pharisaic Judaism with some variants relative to the overly zealous attitude many Pharisees had with remaining ritualistically pure day-by-day, even when they were not going to offer korban (a sacrifice) at the Temple (Jews only had to be ritualistically pure when approaching the Temple, not each day of their lives, but the Pharisees kind of went overboard). Granted, what we think of as “Judaism” today is not the same as it was when Yeshua was teaching this talmidim, but since post-Temple destruction, the Pharisees were the prevalent branch of Judaism that survived, they ultimately became the foundation for what we think of as Rabbinic Judaism today. Obviously, as non-Jews, we have quite a bit of latitude as to how much of the Torah we want to take upon ourselves. That was the whole point of the Acts 15 legal ruling of James (Jacob or Yaakov) and the Jerusalem Council, that we non-Jews were only required to observe a minimum standard of behavior in order to dwell as “resident aliens” among Israel (specifically, the branch of Judaism that followed the teachings of Rav Yeshua). So I think you are free to craft your religious practice as you see fit, as long as it doesn’t violate those Acts 15 standards. The various modern branches of Judaism are doing what they believe is right and correct in their performance of the mitzvot (commandments) and in worshiping Hashem. That’s also true of the various denominations of Christianity, which also have a great number of traditions attached to their praxis. I seriously doubt that anyone of us or our congregations has it totally “right”. I personally don’t believe that anyone can be “Torah observant” simply by reading what the Torah says and attempting to literally carry out those commandments. There is too much that the Torah doesn’t explain so, everyone, even if they don’t admit it to themselves, interprets the Bible one way or another so that they can construct practices that allow them to serve God. As I already mentioned, I suspect we all have some of it wrong. One of the things we’re looking forward to is for Moshiach to come and teach us Torah correctly, as it applies to Jews and non-Jews. Also, Jeremiah 31:34 tells us that in Messianic Days, we will finally receive our full portion of the Holy Spirit and will have an apprehension of Hashem like the prophets of old, and even the least among us will be greater than John the Baptist in terms of “prophetic” knowledge. So in that manner, no one will have to teach us how to interpret the Word of God anymore. The Spirit within us will rightly interpret and we will just know. Once a Gentile gets over the Christian notion that they, the Christians, have become Israel…in a replacement kind of way…as opposed to grafted in, it gets easier to accept that all that the Christian Church has claimed for Gentiles is only so much wishful thinking. “For I [know] their deeds and their thoughts. “[The time] is coming when I will gather together all nations and languages. They will come and see my glory, and I will give them a sign. I will send some of their survivors to the nations of Tarshish, Pul, Lud (these are archers), Tuval, Greece and more distant coasts, where they have neither heard of my fame nor seen my glory. 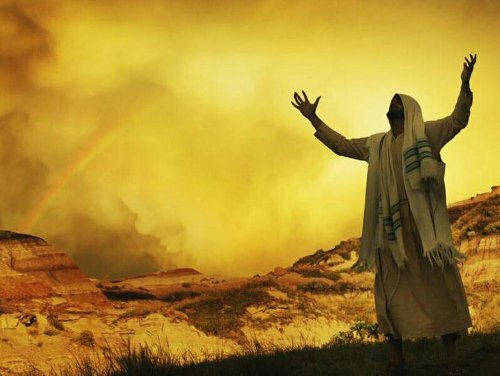 They will proclaim my glory in these nations; and they will bring all your kinsmen out of all the nations as an offering to Adonai — on horses, in chariots, in wagons, on mules, on camels — to my holy mountain Yerushalayim,” says Adonai, “just as the people of Isra’el themselves bring their offerings in clean vessels to the house of Adonai. There is no need to take Cohanim and L’vi’im from the Jews…those among the Jews are mostly known, and even have a recognizable DNA. But the idea that some among the Gentiles that carry the Israelites back to Jerusalem will be specially honored and included is there in the Scriptures, and as such is a hope for all of us Talmidei Yeshua, whether “K’rovei Yisrael” or not, and that is a comforting thought to me, at any rate. I don’t expect to be among ‘Priests and Kings’ in the Kingdom, as many Christians do, at least not among the Jews in Israel, and there is no doubt that many Jews will be assigned to the Nations, to rule and to teach, but it is nice to think that we of the Nations will have the odd Cohanim and L’vi’im of Talmidei Yeshua origins. The writing of the Covenant on the heart is going to be a very real thing, just as the resurrected Tsaddikim, of Jewish or Gentile stock, will be very human, but very law abiding as well. Re: Isaiah 56:6-8 and Isaiah 66:19-21 that you each mentioned respectively, I’ve pondered these verses as well. My hunch (and it’s only a hunch) is that when Messiah returns he will reward us (accordingly to our faithfulness) and this will (in part) determine WHERE (and in what capacity) we will serve Him in the Millennial Age. The “where” seems to be along ethnic lines but “extensions/additions” to the line seem to be a possibility as well (especially if you factor in Isaiah 66:21). 1 The LORD’s city is in the holy hills. 7 As for the singers, as well as the pipers – all of them sing within your walls. True, but I don’t see the Church embracing that paradigm shift any time soon. Your quote from Isaiah 66 is interesting because it says (if I’m reading it right) that Hashem will send the non-Jewish survivors to nations who have never seen His Glory and to declare His Glory. Christian missionary work being what it is, it’s difficult to imagine a place where people have not heard of the Christian God, but then again, maybe what Hashem is saying is that the Gentile survivors will be sent to nations who have never heard of the Jewish God, of Hashem, and to declare a more accurate witness of God’s Glory, one more consistent with Hashem’s covenant relationship with Israel and His promises to her, and only through her, to the rest of the world. I never said we non-Jews don’t have a function and a role in the Messianic future. 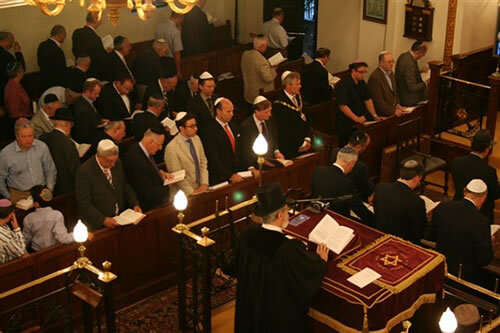 The focus of this blog post is to highlight some of the difficulties involved in non-Jews such as us “attaching” to Israel, at least as represented by Messianic Judaism, when Messianic Judaism, or at least some portions of it, are primarily focused on attaching to the larger community and nation of Israel as represented by normative Orthodox synagogues. I don’t disdain these Messianic Jews in this. As I said above, Jews should be with other Jews and larger Jewish community (to paraphrase Stuart Dauermann) should be considered by Messianic Judaism as “us, not them”. And yet, assuming (and this is a huge assumption) that this is a primary goal for all Messianic Jewish communities everywhere that service a majority population of halachic and observant Jews, then the question becomes how are we to “attach” to Israel under those circumstances? The only answer I can come up with is for the “Messianic Gentiles” to do what some Noahides have done and create their own communities for themselves. Of course, this has already been done, primarily in Hebrew Roots, but then if we “get it wrong,” then we will be criticized by at least a few Messianic Jewish pundits, creating a massive Catch 22. Of course, this is an extreme scenario, and I actually don’t believe that the majority of Messianic Jewish communities world wide are going to integrate into Orthodox shuls. But it does present the inevitable dilemma within Messianic Judaism as being “caught in the middle” between their Jewish brethren and the believing Gentiles who desire to attach to the God of Israel through King Messiah. @Merrill: I tend to believe that we will serve Hashem in the nations where we live, which for me is in the U.S. Of course, there could always be exceptions in terms of the previously quoted Isaiah 66:19-21 and also, Gentiles intermarried with Jews may end up living with their Jewish spouses. As far as Psalm 87, my reading tells me that it’s literally singing the joys of living in Jerusalem and within Zion for the Jewish people. Naturally if Goyim or Messianic Jews would be allowed to take part of synagogue or Jewish or Christian temple activities should depend on what they believe or of what sort of Messianic Jews they are. In our regions we do have also trinitarian Messianic Jews and I can understand that the regular Jews would not allow them to take part of certain synagogue activities, like I as a non-trinitarian Christian and like other non trinitarian denominations would not allow them to take part of the breaking of bread, because they do not worship the God of Abraham but a false god. When the take rabbi Jeshua as god the would not fit the real Christian movement nor the Jewish movement. Marcus, you made the same comment on three different blog posts, so I only approved this one. Dear James, it was because the subject was spoken of on three different blog posts I commented on them this way. But it is all right you allowing it only on one, if that is the one most people would come to learn about the subject. My only hope is that people think about the necessity of man to come to worship only One True God, the God of Abraham. Only Israel may be named participant in the Sinai Covenant but followers of rabbi Jeshua do have the Good News and the promise of God to be able to fall under the New Covenant, but have to remember that the gates to enter the Kingdom are very small and that there is been asked a serious commitment to rabbi Jeshua and his heavenly Father. Gentiles must look to Israel in order to learn the ways of righteousness and should listen to the words which rabbi Jeshua has given them. That master teacher knew very well the Word s of his heavenly Father and wants his followers also to know them and to follow those Words which are given to mankind by the reproduction of the Bible. All the world shall have to recognise what God promised to His People. When others than the chosen Ones want to be partakers of that same kingdom they shall have to recognise the rights of the Chosen Ones for the Holy Land and shall have to build up a relationship with Israel to accomplish this connection with the God of Israel. It is up to the gentiles to come to see and accept that God is with those who are privileged. At the moment there are still too many who say they are following rabbi Jeshua or Jesus, but do not accept his words that god is greater than him. Still too many are having Jesus as their god and one must know that such thing is an abomination in God’s eyes. Also those called Christians very often still keep to the human traditions and keep celebrating heathen festivals, which is unacceptable for God. 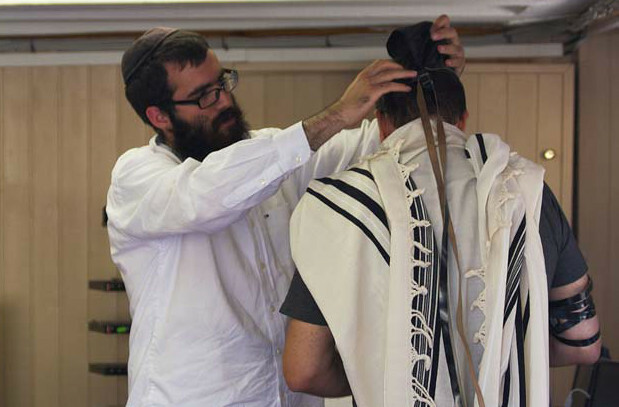 In several countries we may find different groups which call themselves Messianic Jews. some of those groups though believe in the trinity, something no Jew would ever have done and which the Jewish master-teacher Jeshua (Jesus Christ) would never have approved. I personally can not understand how they can still call themselves “Jew” when they even do not belong to the Jewish race. If they belong to the Jewish race than I can accept that and am aware there are also lots of secular Jews who do not want to know about any God at all. Both of them should not allow to take part of certain religious acts, being it in the synagogue by Jews or be it at Eucharist services by Christians, not being able to take part of the symbols (= not having to eat from the bread and not drinking from the wine, symbols of the sacrifice of the Lamb of God). On the other hand one could say when a non-believer and non-Jews comes to accept the conditions of God and is willing to be part of God’s community, we have now rabbi Jeshua who has restored the relationship with God and as such has opened the gates to the family of God. For Jews that may be difficult to accept, which is understandable them not seeing Jesus to be the Messiah. Therefore I can understand their reluctance to have Messianic Jews to be part of their active synagogue members, though they also could consider them as part of a sect in their community and as such also part of the Jewish community and then they should seriously consider if they would have the right to exclude those who God has allowed to be part of their community. This is a serious matter they should seriously take at heart so that they would never judge others, taking an action above the Judging by God. Real (original) Jews should have to become patient with those who God has now called also and who God allowed to come closer to Him and His Chosen People. Jews should bring up patience to allow those newly ones to come to really understand all of the prayers, all of the ceremonies and the praxis involved in a Shabbat service and the full worship like god wants to be worshipped. It is by hearing the Torah of Moses read and taught in the synagogues of the diaspora that others shall be able to learn the rules and regulations of the Most High One. Jews have to learn that it is not up to them to decide that those others are not allowed to come to hear those ordinances. The chosen Ones of God shall have to recognise that, even when they are still awaiting the Messiah to come, that this Messiah one day and perhaps sooner than may think, may be appearing hear on earth and that the world has to be ready then to accept this Messiah as the chosen one of God, who every body who loves God shall have to follow. That Messiah shall have to bring all the ones that are willing to follow him together under one roof. Perhaps the original Jews may then be surprised that they shall not be the ones to lay the “burden” of all of the 613 commandments upon the shoulders of newly minted Gentile disciples of Rav Yeshua. The split between Judaism and Christianity you find “did not come about simply or quickly” but it was there very quickly because several false teachers were stronger in catching the public. It was not such a complex process like you might think which took some one hundred years, In 325 it came to conclusion by the Roman emperor Constantinople having his go and pushing the Christians in accepting the pagan gods or being prosecuted to the end. The majority choose to adhere to the Roman wishes and to make rabbi Jeshua into the counterpart of Zeus and changing his name into Issou or Jesus, making him into a three-headed god. That trinity concept was the deathblow to Christianity and the opening to a growing Christendom where the church adapted his rulings according to the local pagan customs. For them it was more important to cash in enough money and gain as much members as possible than keeping to the teachings of the Jewish master teacher and his beliefs in only One God. From the 4th century onwards Christianity had to face the curse of man preferring to adhere to human doctrines instead of Biblical doctrines and Christendom continuously inventing itself and creating more and more denominations who all preferred to create their own group of followers, instead of working to return back to the source, the Holy Bible and keeping to God His words. 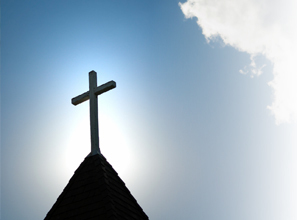 We can imagine the difficulty Jews may have about Christian converts, when they cannot be sure if those converts came from those trinitarian Christians or if they were real Christians worshipping only One God. For us we can find also trinitarian Messianic Jews in our regions. Such a thing is totally in contradiction because a Jew should only believe in the god of Israel Who is a Singular God and not a Tri-une god. Though we are happy to find also Jews who sincerely accepted that the sent one from God, the prophet and master teacher Jeshua or Jesus is the Kristos or Christ. Them accepting that the Messiah has already been here on earth and soon shall return can make it very difficult for those Jews who do not believe that. But those Jews should look closer to the Jewishness or not Jewishness of those who would like to come to the synagogue. In that synagogue should also be a part for those goyim who want to be part of the People of God. Be it that they may be converted to the Jewish Faith in the old tradition, becoming a member of those who do not believe the Messiah has come already or that they be a part of those Jewish believers who have found that the promises made by God have become a reality by which we do have to live and that the Jews who do not believe it yet should wonder if they can refuse those other believers and would not go against God His wishes. Like there would be no place for trinitarian Messianic Jews to take part of the symbols in a Christian service, but him or her being welcome as a spectator and even welcome to read from the scriptures, we think Jews should have a similar openness to such Messianic Jews, also having to be following a service but not allowing them to come in the holy of holiest places in their temple.